Hi everyone! I have been so excited about Blog Fest 2014 for weeks now!! 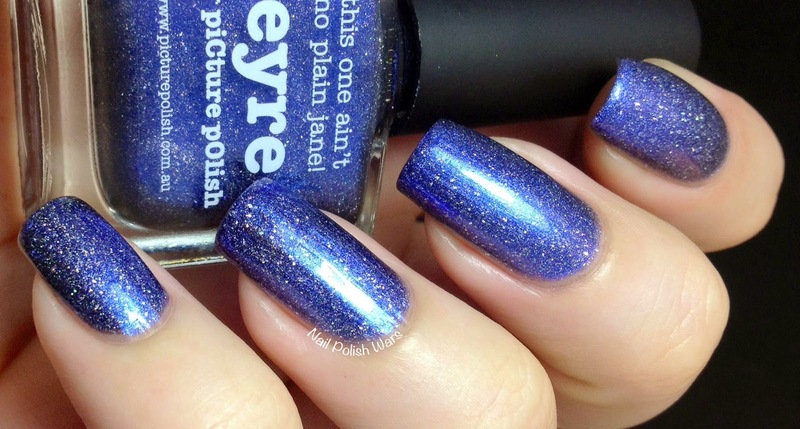 Eyre is a metallic cobalt blue scattered particle holographic. The formula was rich and very easy to apply. Shown is two coats of Eyre. I absolutely love this shade! It has such amazing depth to it, even in dimmer lighting!! This year's challenge was to create a nail art design using two piCture pOlish shades and their new nail vinyls. (Black & white accents are also permitted.) 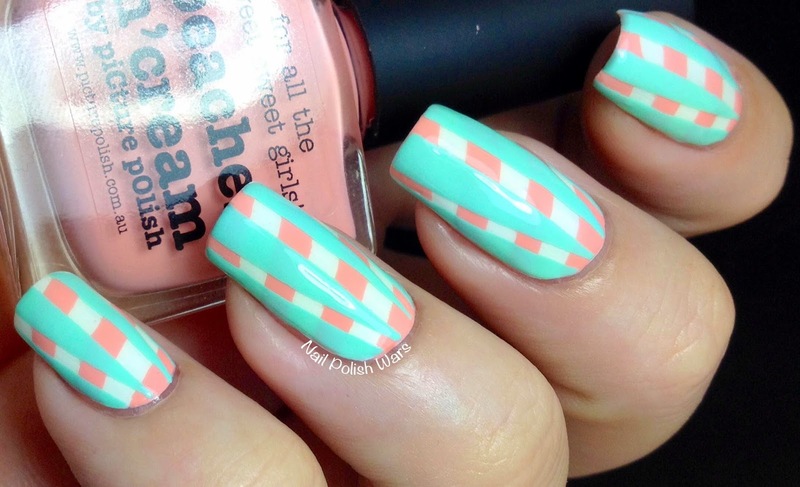 The shades provided to me for Blog Fest were Tiffany and Peaches n' Cream, along with straight nail vinyls. I was so excited to get these two shades! They both have such a dreamy summer quality to them. For my design, I started off with a clean white base, followed by one coat of SV. I applied the larger straight nail vinyls diagonally across the nail, and applied one coat of Peaches n' Cream. I followed again with one coat of SV. Next, I applied three of the smaller straight nail vinyls down the nail, and added one coat of Tiffany, followed by one final coat of SV. I really like the final look! It reminds me of a beach side ice cream parlor!! I like the nail vinyls very much. They attached to the nail really well, and were very easy to remove also. I didn't have any problems with air pockets along the edges either. You can find piCture pOlish Eyre, Tiffany, Peaches n' Cream and a ton of other awesome shades at their storefront here, and at a number of other stockist shops (international shipping available). Don't miss out on their Daily Deals!! Twitter, Facebook, Pinterest, Instagram, Youtube. Check out all the other awesome bloggers and instagramers participating!! 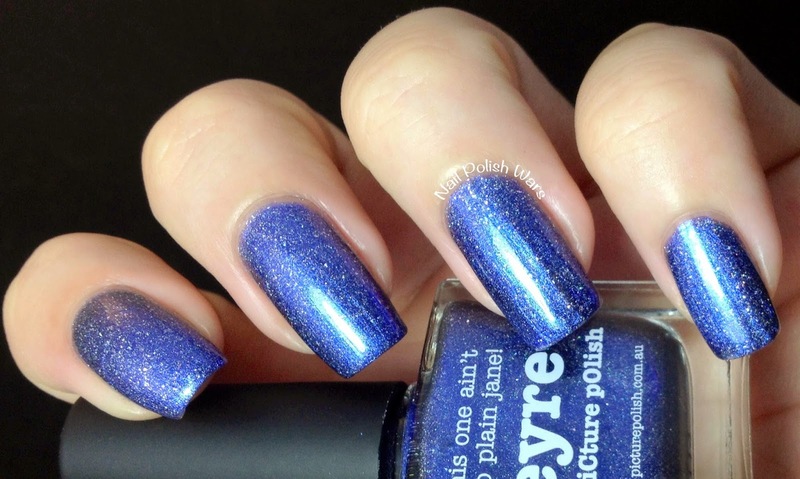 Eyre is such a beautiful polish! And your photots are great! What a fun nail art design. I like that you did something unexpected underneath it. I love your peek-a-boo design! Very cool! 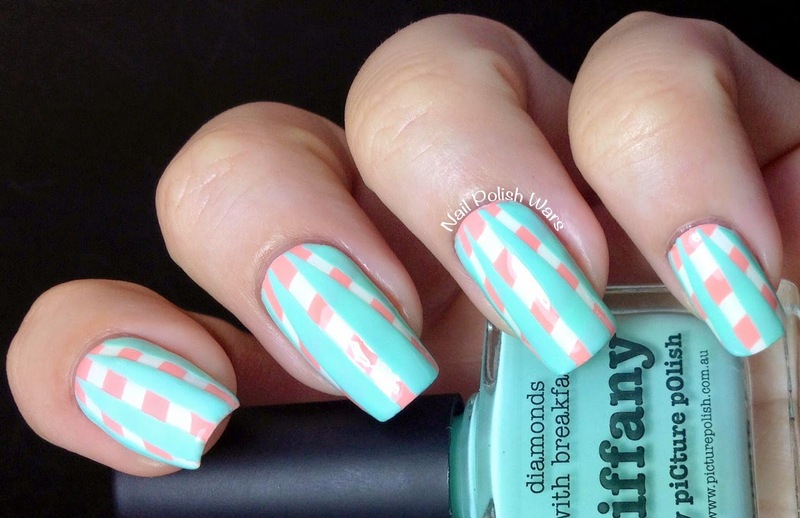 Pretty design :) I'm really liking both of those polishes. 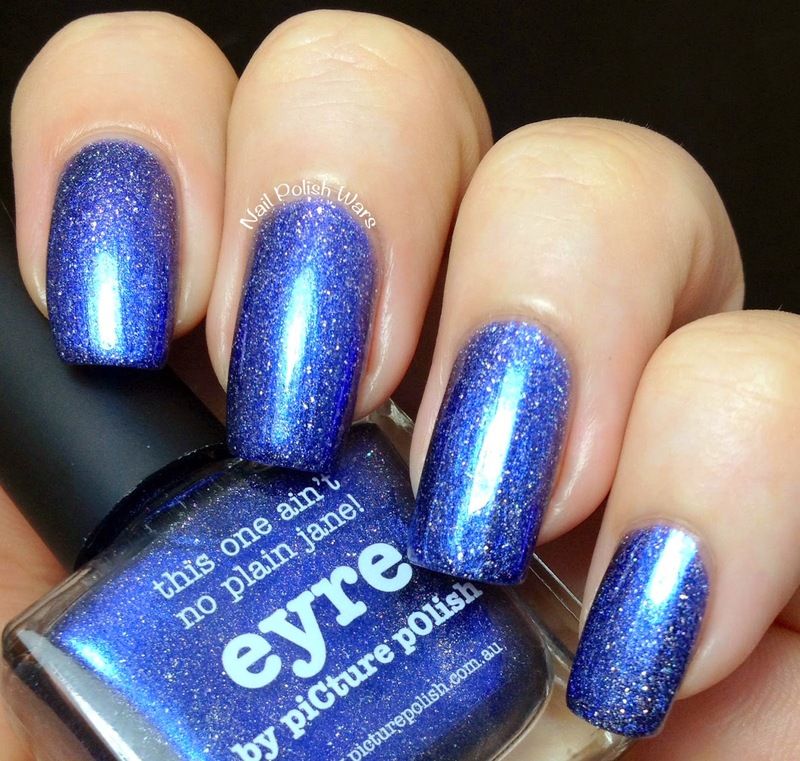 Oh man, Eyre is awesome!